A classic European car in the American style RAT ROD, what better than that? 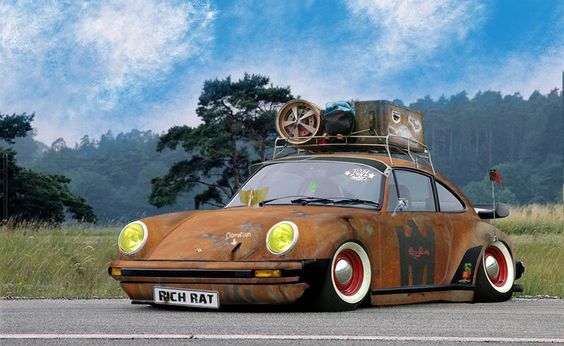 Rich Rat Porsche 911 Rat Rod ( Go Ahead, Say that Five Times Fast ). This 911 has been sitting at a friends shop for 12+ years. If you want to be recognizable on the road mat, this European beauty will definitely impress.